Cecelia Allen-Webb, LMBT #2793 is a nationally certified Massage Therapist, licensed Esthetician, and experienced Rehab Nurse. Kneading Wellness™ was founded in 2002 by Cecelia Allen-Webb LMBT #2793, a nationally certified, state licensed Massage Therapist, Esthetician, and LPN of 20 years. 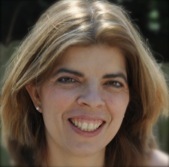 By combining her experience as a Rehab Nurse with therapeutic massage she has developed a signature treatment where every session is tailored to a client's specific needs. Cecelia believes that maintaining healthy skin is also an important part of a holistic approach to wellness. Her facials and peels use the finest formulations from Image Skincare, whose products are only available from licensed professionals. Graduate of the Medical Arts Massage School of Raleigh in 2001; a 600 hour state accredited program that included Anatomy, Physiology, Kinesiology, Pathology, Swedish, Sports, Trigger Point and Deep Tissue courses. Member of the American Massage Therapy Association. 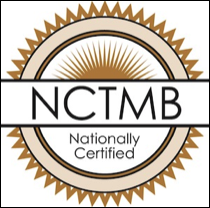 Licensed by the NC Board of Massage and Bodywork Therapy - #2793. Kneading Wellness™ is trademarked in the US by Cecelia Allen-Webb. All rights not expressly granted are reserved. You may not use the Kneading Wellness™ mark as part of a business name, website domain name, on printed materials, or any other usage without the expressed written consent of the owner.